Do you want more exposure for your small business on social media? Wondering if partnering with influencers can help? Partnering with niched micro-influencers helps increase brand awareness, conversions, and ROI to targeted social media campaigns. There are many ways to collaborate, depending on your desired outcome and budget. We’ve outlined 3 of the most common ones below. One of the easiest way to expose your brand to potential customers is to get it into the hands of the influencers it listens to. Identify bloggers fit the feel of your brand -- if they’re on your wavelength it’s likely that they’ll share positive feedback about it with their readers and viewers. That makes researching bloggers and influences before you approach them, and essential part of a successful collaboration. 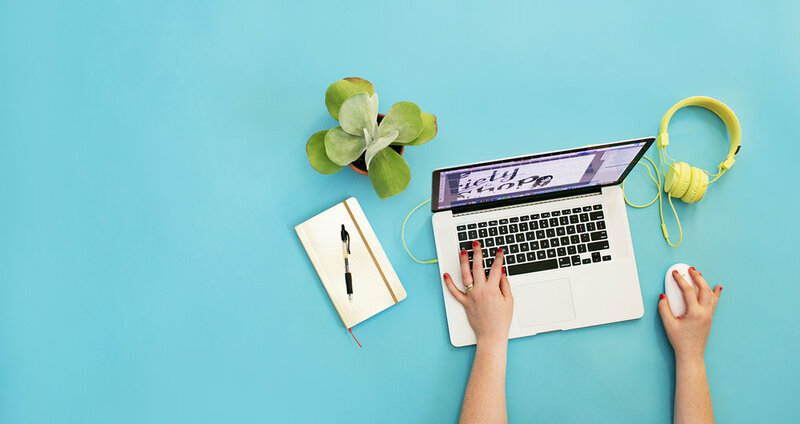 Read up on past brand collaborations undertaken by your blogger, you’ll want to work with bloggers that produce high-quality content - the end result you’re looking for is creative, sharable content. It needs to be pointed out, however, that gifting products doesn’t guarantee exposure. While many influencers will accept gifts, that doesn’t equate with a promise of editorial coverage. In fact, some prefer to be paid for coverage in addition to any gifts they receive - some influencers with followers in the millions, for example, receive an average of £100,000 for an earned post (that’s what it’s called when a brand receives, or ‘earns’ a mention from an influencer). So if you’re new to influencer partnerships, or your budget is limited, don’t be afraid to start on a smaller scale, and check with the blogger prior to sending out products. Sponsored posts serve as a more controlled way for brands to work with influencers -- bloggers in particular. Principally, a sponsored blog post is one that a blogger is paid to publish about a brand, on their own blog, in their own words. And while you can supplement the influencer with important points you’d like them to cover in the post, writing the content in their own voice can help maintain a consistent appeal to her readers. If the blogger is following FTC guidelines, however, she’ll have to include a small note somewhere in the post to indicate that the story was sponsored by the brand. Teaming up with bloggers on these types of posts can be great for gaining awareness and securing a few valuable links from authoritative domains. Giveaways can be hugely successful for brands as they encourage the influencers audience to interact with your brand message. Therefore, it’s particularly important here to partner with an influencer who aligns with your brand identity - if their audience isn’t a good fit for your product, you may not get the reception worthy of the product you’re giving away. When thinking about the design of the giveaway, don’t make it too complicated for people to participate - but do require them to do something low-effort that somehow benefits your marketing goals. For example, if you want to increase your social media following on a specific channel, you can ask participants to post a photo on Instagram with a caption about the giveaway and a branded hashtag. You can also make it a specification to follow you brand on any of your channels, if your end goal is to increase your following. If you’re interested in dipping into influencer marketing, get in touch today to see how we could help! Say Hello to Gen Z Yellow!